If you're an MMA or UFC fan and you made any weekend plans for March, then it's probably best to cancel or rearrange them now as there are simply way too many good fights on the horizon. These exceptional bouts need your full, undivided attention, so get your snacks in, find yourself a comfortable seat and get ready to enjoy some exceptionally violent behaviour. 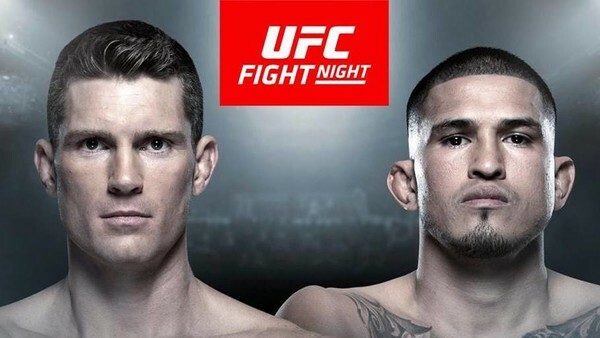 We've got the highly-anticipated welterweight debut of wrestling phenom Ben Askren, promising prospects such as Johnny Walker and Maycee Barber looking to continue their rise up the rankings, striking specialists Anthony Pettis and Stephen Thompson going toe-to-toe (or kick for kick in their case), and grappling savages such as Sergio Moraes aiming to go home with their opponents' limbs or neck along with a fight night bonus. All of this wonderful MMA action is taking place throughout March, but with so many events it's hard to know which fights are killer and which ones are filler. Don't worry though, because we've narrowed down some of the must-see bouts you'd be a fool to skip.